On board was the Russian Peoples' Commissar for Foreign Affairs Vyacheslav Molotov, along with his staff. British Foreign Secretary, Anthony Eden, was there to meet his Russian counterpart. 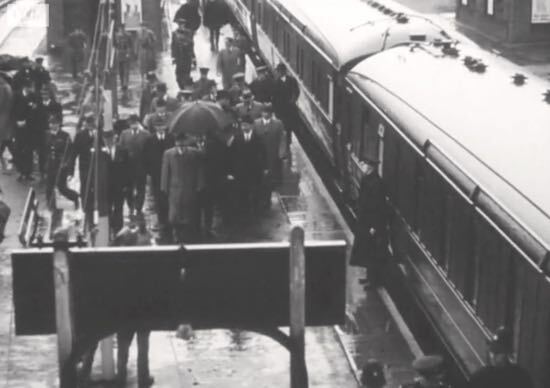 This wasn't a scheduled service; this was a special train laid on to carry a Russian delegation on its way to attend a top-secret meeting which would lead to the signing of the Anglo-Soviet Treaty. 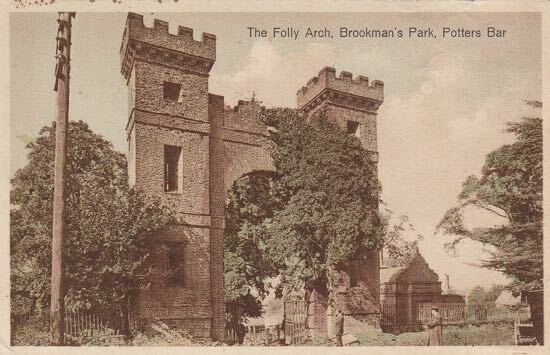 A newspaper reporter from the Daily Mirror had received a tip-off and was at Brookmans Park station to record the event along with a staff photographer. But his story about the meeting wouldn't be published for another three weeks. As the reporter wrote at the time, "I was the only journalist present to see this great occasion. It was a world scoop, which I could not use." The event was also captured by official camera operators, whose work is now available on the Imperial War Museum site. 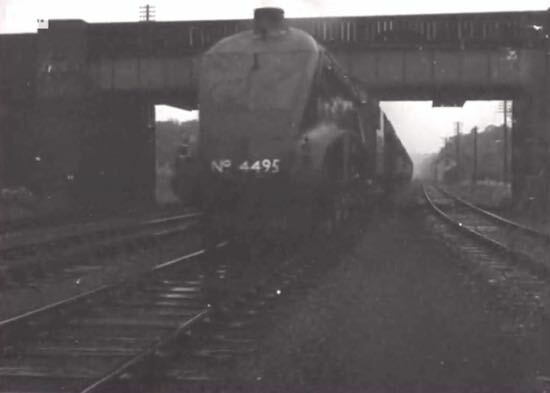 The party disembarked from the train's sleeper carriage, climbed up to the footbridge, walked past the ticket office, and up to Station Road, where a fleet of ministerial cars was on standby to whisk the party away to Chequers - a 33-mile drive, where Prime Minister Winston Churchill was waiting to meet them. The short film below is included in this feature courtesy of the Imperial War Museum under its non-commercial licence. This is a silent movie, best viewed in fullscreen. To activate fullscreen mode first click play then click on the two arrows in the bottom right of the video panel. "The first scene is viewed through the carriage window following which the group (which includes Rear-Admiral Kharlamov and Colonel Skliarov) leave the train and make their way out of the station to the waiting cars. "The story of the village that missed its Big Day"
In his report, which appeared in the Daily Mirror on Friday 12 June, 1942, (see above) E. H. Christian, the Daily Mirror reporter wrote about the secrecy that led to a day of rumours spreading though the local community. Below is a transcript of the piece. There were no cheering crowds. There were no ceremonial presentations. M. Molotov arrived from the north in a seven-coach special strain. He came to a station on the outskirts of London, set in fields, with a few houses in the nearby village. George, the station master, and his one porter were the staff to greet this "special". A contingent of Air Force men and police arrived well before the train was due. They had not long to wait for the train was ahead of schedule. 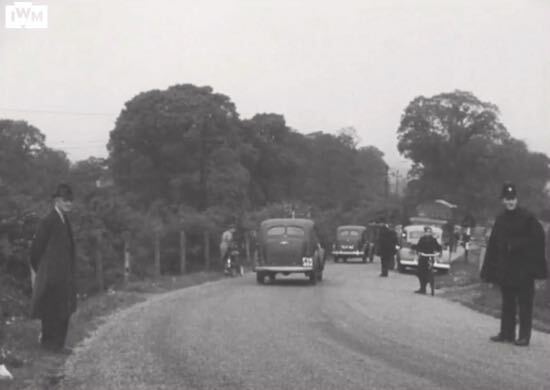 A number of large cars arrived later bearing Mr. Eden, M. Maiskey, and other members of the welcoming party. Even Anthony Eden's well-known face attracted no crowd. The only members of the public present, apart from the Daily Mirror photographer and myself, were two village women. They were so concerned with catching their train that they had no thought for the identity or importance of the visitor. The meeting of M. Molotov and the welcoming party was without ceremony. The Foreign Commissar, hatless, and dressed in a grey suit, stepped from the train and shook hands with Mr. Eden, M. Maisky, and other officials, smiling broadly. Mr Eden also seemed in excellent spirits. The greetings on the platform were brief. A faint drizzle sprayed the party as it straggled up the incline from the station to the road. Mr. Eden led the way, with M. Molotov and M. Maisky following side by side. While waiting for the cars to be brought up, M. Molotov stood, hatless, talking to his Ambassador and Mr. Eden. The informality was out of keeping with the importance of the occasion. Filled with officials, the first car moved forwards. M. Molotov and M. Maisky entered the second car with two of their staff. They shook hands again as they parted from Mr. Eden. "Till tomorrow, then," said our Foreign Secretary, as he smiled goodbye. Within half an hour the occasion was over. The village had missed its big moment. George was once again issuing tickets. Next morning the village buzzed with rumours about the visitor. They ranged from Stalin to Roosevelt. But until the villagers read this story they will not know for certain his identity. From the door of the sleeping compartment stepped a stocky man in a smart brown suit with a distinctive black moustache and round spectacles. He wore a frosty smile and looked every inch the suburban bank manager. Accompanying him, umbrella in hand, was a tall, elegant-looking individual, sporting a lighter moustache and slicked-back hair, who would not have been out of place on a Hollywood movie set. Vyacheslav Molotov, people's commissar for foreign affairs, and Anthony Eden, British foreign secretary, were meeting on this unremarkable branch line (5) in conditions of great secrecy; not a word of the Soviet politician's trip had been made known to the wider world. 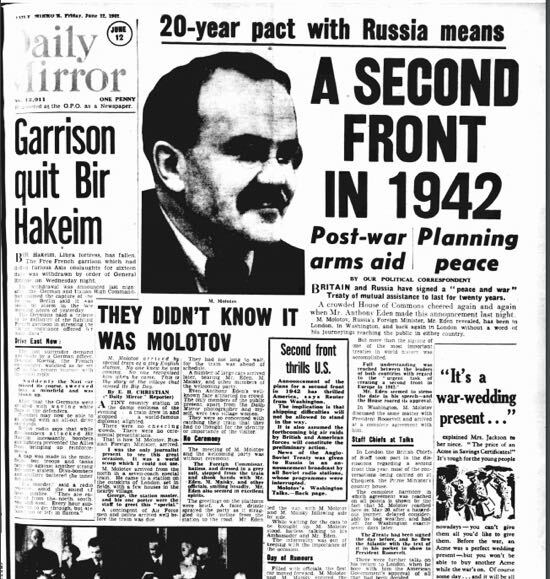 This 'mystery man thriller', as the Daily Express would later dub it, was partly a product of the natural paranoia of an aide to Stalin, but due also to Molotov's unwillingness to publicise a set of negotiations that might well fail and reflect badly on him. After extracting a guarantee of confidentiality from a resourceful Daily Mirror photographer who had turned up on a tip-off, Eden led his guest to a waiting car and they drove out of the village, heading for Chequers, where Churchill was waiting to meet them. 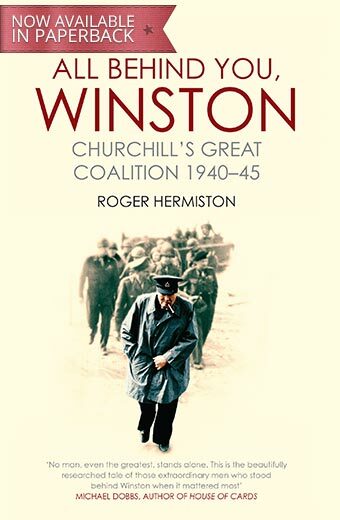 Thanks to Roger Hermiston for letting us include the text from his book along with the image of the cover. 1: It's interesting to see that the "Golden Fleece" seems to have no headcodes, neither lamps nor discs. Travelling without lamps during wartime is understandable, but the fact that the locomotive is not displaying discs might be down to the secret nature of the journey. 2: There is a minor discrepancy between the accounts of the event recorded by Roger Hermiston and E. H. Christian. Christian reported that the train arrived "in the damp coolness of the evening", however Hermiston's book states that the train arrived at 7.22 a.m.
3: The use of 'M.' in the Daily Mirror article of Friday 12 June, 1942, by E. H. Christian is, we think, an abbreviation for 'Monsieur', the title given to a French-speaking man. It corresponds to the English 'Mr.'. 'M.' was used as a courtesy title in Britain in the past for all men whose language was not English. This stems from the fact that at one time French was the international diplomatic language. 4: In his piece, E. H. Christian writes, "I was the only journalist present to see this great occasion. It was a world scoop, which I could not use." This could have been because of a D-Notice had been issued. A D-Notice is an advisory request by government to withhold information, particularly in regard to national security. 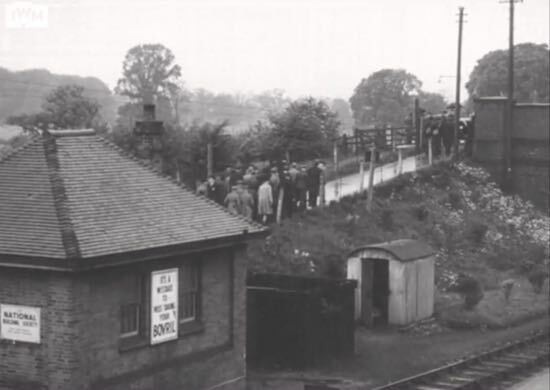 5: There is a reference to Brookmans Park station being on a branch line rather than on the main line known as the LNER at the time the event took place. To see the licence covering the embedding of the video and use of screen grabs in this feature, click on the 'Use Video' tab bottom right of the video on this page. The wording is reproduced below. 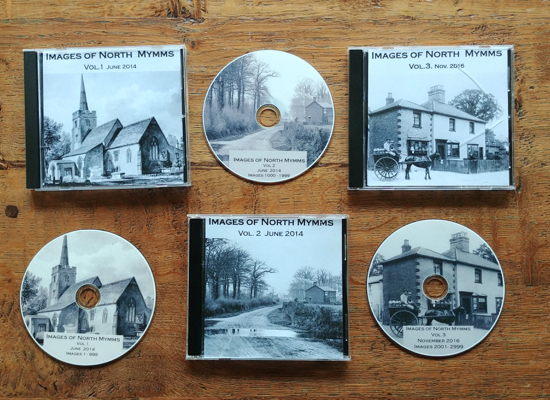 "The media for this item are free to reuse for non-commercial purposes under the IWM Non Commercial Licence. Video, sound and images can be embedded with the code we offer here, and images can also be downloaded. By downloading any images or embedding any media, you agree to the terms and conditions of the IWM Non Commercial Licence, including your use of the attribution statement specified by IWM. For this item, that is: © IWM (ARY 8)."